The study found that those who meditated more regularly scored higher on total emotional quotient and had lower perceived stress, also known as psychological stress — the most common occupational health problems affecting workers worldwide. They also showed improvements in general mood, stress management, adaptability, intrapersonal awareness and reality testing. This indicates that emotional intelligence has a moderating effect on psychological well-being and mental health, the researchers said. 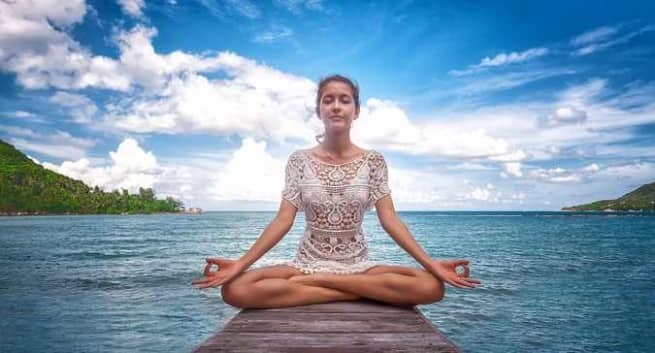 “This study demonstrates the benefits of meditation in the workplace,” said Laurent Valosek, Executive Director, Center for Wellness and Achievement in Education — a US-based non-profit organisation. “And with a growing body of research on the value of emotional intelligence and the harmful effects of psychological stress, organisations are looking to give their employees tools for reducing stress and developing competencies like centeredness, self-awareness, and empathy,” he added. The study, published in the journal The Permanente Journal, included nearly 100 central office staffs. The team found that during a four-month period, those practicing the transcendentalmeditation — a form of silent mantra meditation — experienced significant improvements in emotional intelligence and perceived stress, as compared with controls. The research highlighted the role of emotional intelligence and perceived stress as important factors associated with mental and physical health and organisational effectiveness. According to the World Health Organization, psychological stress adversely affects organisational commitment, work engagement, and productivity, as well as contributes to poor mental and physical health. Emotional intelligence has garnered considerable attention in the workplace because of its positive association with mental and physical health and its connection to leadership capacity and performance. Next How to choose face cleansers for different skin types?